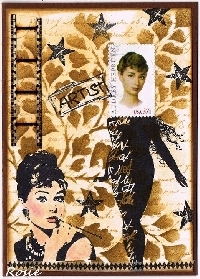 For this swap, you will create one ATC with a SCENE WITH A POSTAGE STAMP theme. See the picture to get the idea when you're unsure what is meant. STICKER SLAPPING ISN NOT ALLOWED!! The back of the ATC should include your name, the date you created it and the theme of the ATC. You can start now since this is not profile based. You need to have completed and be rated for 5 type 3 swaps And you need a filled profile. Even though I set a rating filter I still check profiles.